I’ve been telling people to try their antennas without the standard TV 300 Ohm to 75 Ohm transformer for years now. With the inclusion of the Digiair DTV Spectrum Analyzer in my bag of tools, I tested my recommendation to find out if, as I had concluded from the limited tests I made on my own antennas, this was a good recommendation. 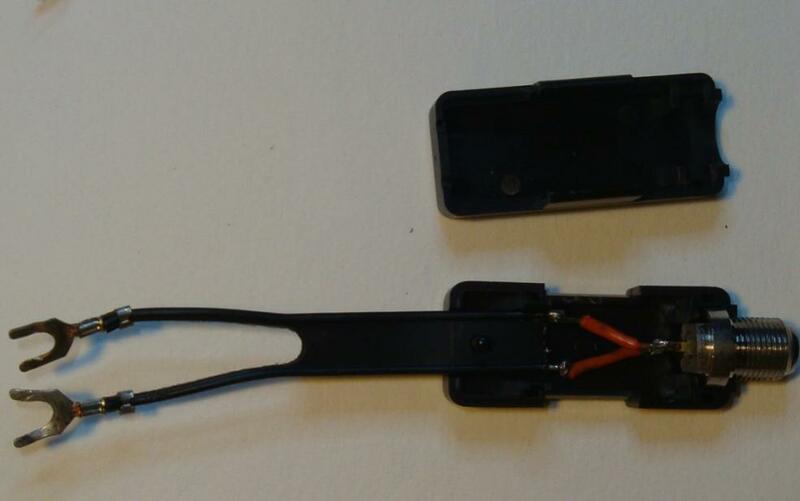 I tested using and not using the standard TV antenna transformer on the three basic lengths of the bow tie (BT) antenna: 8″, 12″, and 16″. The 8″ version used was one of my “standard” 8″ BT antennas. 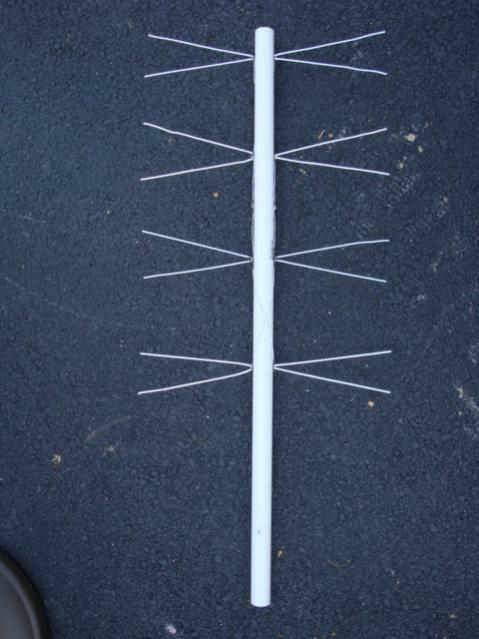 This is the antenna that I test all other antennas against and is described in the previous blog, “The Standard BT Antenna.” I gave the building instructions for this antenna. See Image 1 for the sketch and dimensions. I also tested the quad BT antenna (see Image 3) with the standard transformer, with no transformer, and with a reversed transformer because I thought that with four bays the impedance of the quad BT (also known as a four bay BT) would be one fourth that of a single BT. The three transformer cases used can be seen in image 4 and the empty transformer case can be seen in image 5. 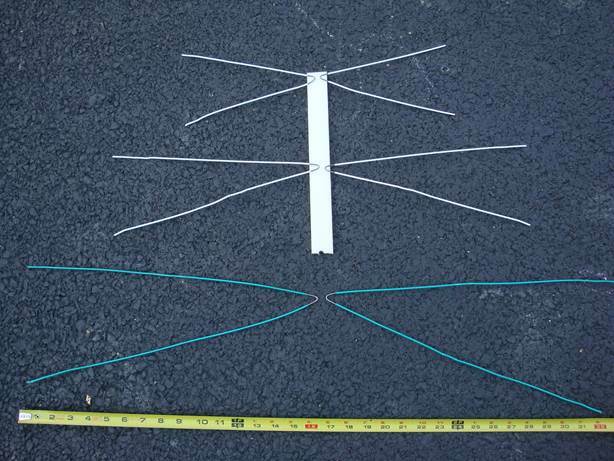 The images of the three BT antenna element sizes and the quad BT antenna are shown below in images 2 and 3. The testing location was again on Mount Airy Ridge in the elementary school’s parking lot, which had a good view of east to Baltimore, a somewhat blocked view south to Washington, D.C., and a clear view west to Frederick, MD. There was a nice spread of stations and frequencies represented from this location. The channels found were: VHF: 7, 8, 9, 10, 11, 12, 13, and UHF: 15, 18, 21, 23, 24, 27, 28, 29, 33, 34, 35, 36, 38, 39, 40, 41, 42, 46, 47, 48, and 50. A station had to be at least 34 dBuV with the standard BT, antenna for it to be used for these comparison tests. 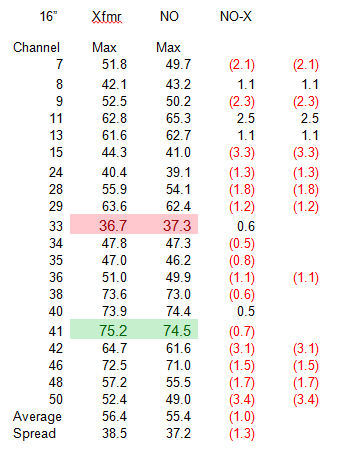 Looking at the average signal level data listed above for with and without the transformer, there is no clear indication that either way is better than the other. The experimental error, as determined in the length experiment, https://blog.solidsignal.com/content.php/2488-Bow-Tie-Element-Length-Evaluation, is about +/- 1dBuV. With this in mind, we’re looking for differences that are more than 1 dB to be certain that we’re seeing a real difference. 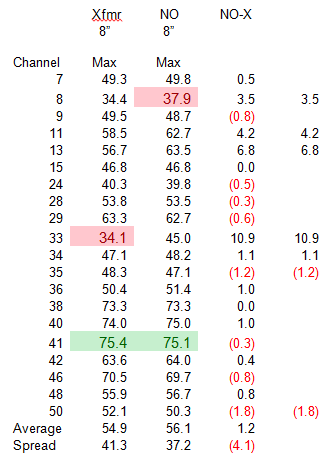 Again, looking at the average signal levels, we see no over-all improvement for any antenna length; they are all within + or – 1dB, except the 8″ antenna which improved by 1.2 dB. What did improve on all antennas was the spread, meaning that the difference from the weakest signal to the strongest signal became smaller. The question that needs to be looked into is how did the average signal level stay the same while at the same time the spread of weakest to strongest signal became less? Let’s first look at the standard 8″ version of the BT antenna to see what can be determined. 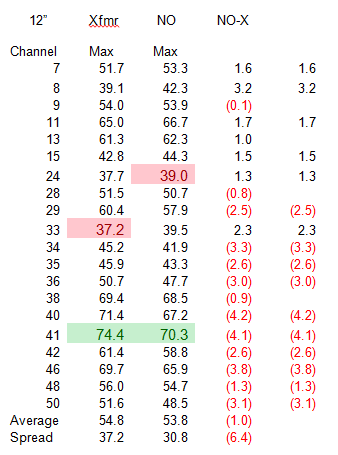 It can be seen that there are some rather substantial improvements in the signals levels of a few stations while the majority of stations showed no gains or losses. 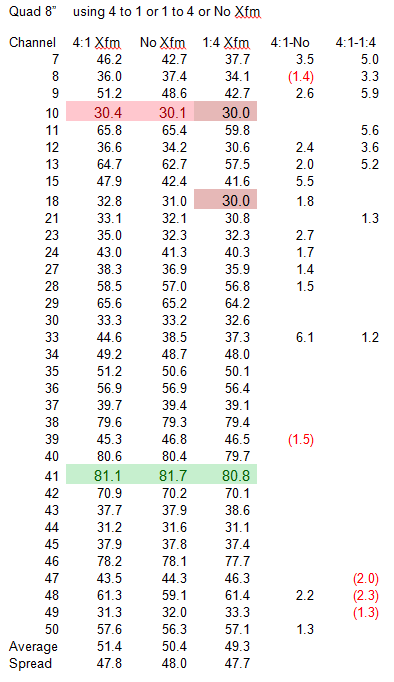 The fourth column of data is where I removed all data at or below a 1dB difference. Also, the substantial gains were to the weakest stations and this alone was what reduced the spread between the weakest and strongest stations. 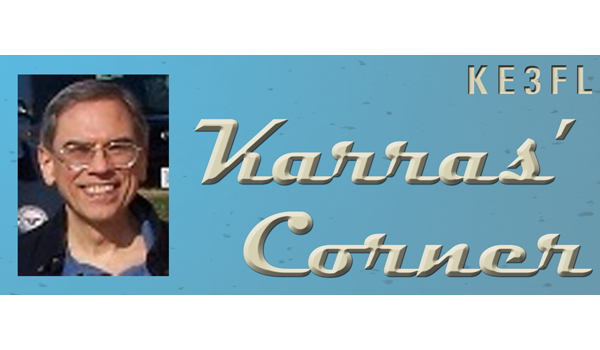 There are also more gains than losses and so, for the 8″ BT, we have an overall improvement in signal levels and a narrowing of the difference between the strongest and weakest stations. In this case, not using the transformer seems to be an advantage. Here we see that there were substantial losses and that there were more stations with losses than with gains when the transformer was not used. However, most of these losses were on stations which were, at least in my area, already good strong stations which could well afford even up to 4dB loss in signal strength. Once again, the improvements were on stations which needed improving. The improvement on most of the VHF stations using 12″ instead of 8″ (and a bit more improvement not using the transformer) brought signal levels of these stations up from the 30s to the 40’ or from the 40s to the 50s. Only channels 24 and 33 did not improve into the 40s and here we can see that if channel 33 is important to you, then using the 8″ BT without a transformer might well boost it to an acceptable signal level. For the 12″ BT, there is an overall improvement when the transformer is used, unless channel 8 is needed. In that case not using the transformer might just help out. 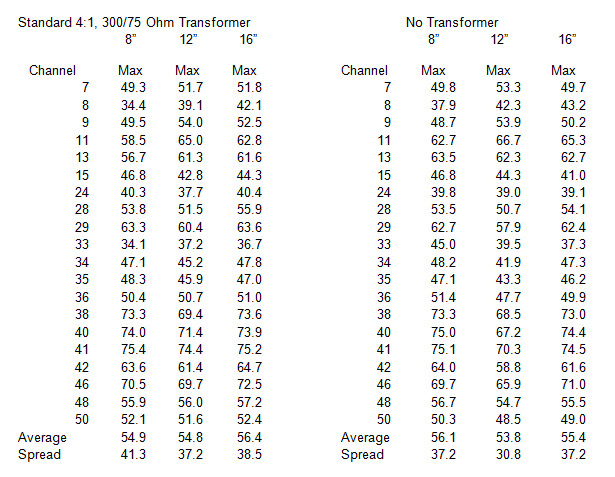 The data here shows that using the transformer is likely better than not using it. Only three VHF stations improved without the transformer and, of those, only one improved substantially, and even it was less than a 3 dB improvement. The losses were also mostly minor in size, with only three of the ten being above 3 dB and two more above 2 dB; or, only half the improved stations improved more than 2 dB. For the 16″ version of the BT, I would go with using the transformer. The last two tests were run on the quad 8″ BT antenna. Here I tested three situations: using the standard transformer 4:1, not using it, and using a reversed transformer, 1:4. Also, you will notice that I used every station the Digiair spectrum analyzer could register with a level above 30 dB uV. Here it is clear that using the standard 4:1 transformer is better than not using it, on the whole, since there was only one station which showed even a minor improvement when not using the transformer. The data also shows that using the reversed transformer is even worse most of the time. There were only two measurable improvements when using the 1:4 transformer. Using the standard 4:1 transformer improved nine stations, all at or more than 2 dB, six of those were improved by over 5 dB. 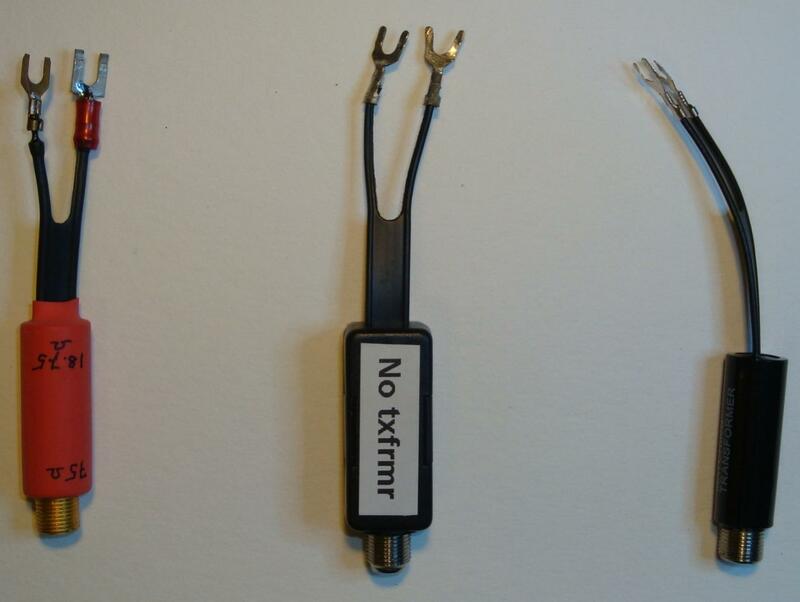 In general, for the 12″ and 16″ single element BT antennas, one will have to test to find if, in the given situation, it is better to use or not use the transformer. It looks like it will be better to use the transformer for the 12″ and 16″ BTs. On the other hand, for the basic 8″ BT, it looks like it is better to not use the transformer. As for the quad BT antenna, it is most definitely better to use the transformer. The bottom line is that my advice still holds. For your particular situation, only a test will show for sure if there is any improvement with or without the standard 4:1 (300 Ohm to 75 Ohm) transformer. On the other hand, my idea that the quad antenna would be much worse using the 4:1 transformer was clearly mistaken! Note: If you buy an antenna and it comes with a transformer, use it. You can be very sure that the manufacturer knows what’s best for the antenna. The question for my next article concerns the BT angle. The BT theory states that the frequency response is related to the angle, not the length of the antenna elements. Does changing the angle affect the frequency response of the antenna? I’m looking for an angle to improve the lower VHF response of the antenna while keeping the good UHF response. Is there an angle that shows lower VHF improvement? Until next time, good watching! Almost all local football is available for free over-the-air. Is that enough for you?